I’m awesome. But I have a hard time telling people about it. This is a problem. The agony of self promotion. I’ve been able to take advantage of filming stories that are close to me. I’ve shot video and taken pictures for a number of non-profits and civic-minded groups in my area, but all of those clients were essentially gained through personal connections. These people already know I am awesome due to their proximity to my awesomeness. But, I want to expand my reach beyond my inner circle. I want more people to know that I can help promote their cause. That I can create great images of their wedding. That I can tell their story. That I can add value. 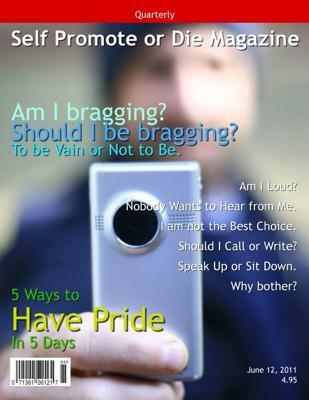 But when it comes to self-promotion, or just promotion in general, my brain just locks up! On a normal day, I can throw around some funny zingers, while my wife is serious and focused. But when it comes time to start a conversation on my Facebook business page, my posts come across as a fortune cookie of facts. My wife has to step in and write interesting posts for me when I share a project with my more than 50 Facebook fans. Yes, more than 50. For whatever reason, I do not promote myself well. This is a problem because if I want to continue telling stories for a living I need to have people willing to pay me to tell their story. If they don’t know about me, how are they going to pay me? got to figure out a new skill, self-promotion. Unless I want my wife to speak for me in even greater measure (love ya babe), I had better find a way to promote my skills and talents to those people that need to hear it. It’s already awkward trying to describe myself but I also have a ton of work to do to understand who my potential clients are and how I can reach them. It starts with a basic question; who is my ideal client? So far, my ideal client is one that is working, in some capacity, to make things better. Oftentimes, these do-gooders don’t have a lot of funding. Which is why I’m kinda stuck trying to answer the basic question, who am I doing business with? And how do I reach them? This sounds like the beginning of some long sales pitch that describes what the problem is. Somewhere around this part you may expect to get the first hint that some fantastic new product will tell you exactly what to do in order to achieve success with self-promotion. That will not happen here.. If you read further you will, in the end, learn that I am not the guy that offers many solutions. I’m more like the guy that tells you how his life isn’t perfect so that you don’t feel alone in the world. That said, if you have any tips or solutions regarding marketing or overcoming the fear of self-promotion please let me know. Got Tips For Self Promotion? Comments and feedback welcome below..